US probe of China's Huawei includes bank fraud accusations - SABC News - Breaking news, special reports, world, business, sport coverage of all South African current events. Africa's news leader. Companies are barred from using the US financial system to funnel goods and services to sanctioned entities. If Huawei conducted such transactions and then misled HSBC about their true nature, it could be guilty of bank fraud. Chinese telecoms giant Huawei Technologies Co Ltd’s chief financial officer was arrested as part of a US investigation into an alleged scheme to use the global banking system to evade US sanctions against Iran, according to people familiar with the probe. 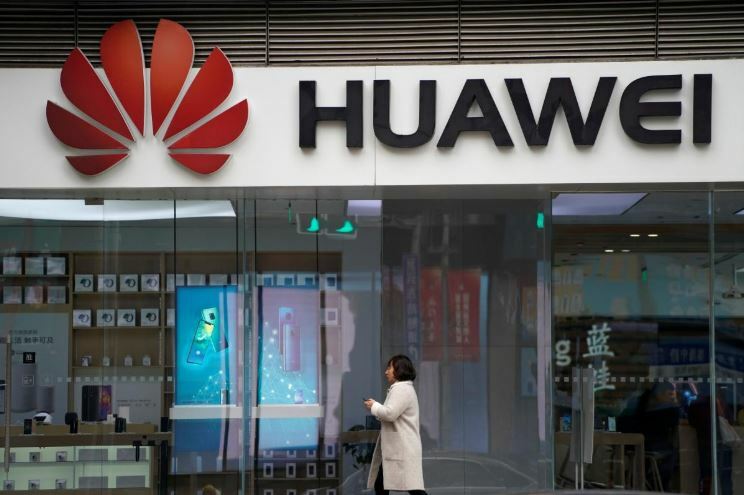 The United States has been looking since at least 2016 into whether Huawei shipped US-origin products to Iran and other countries in violation of US export and sanctions laws, Reuters reported in April. More recently, the probe has included whether the company used HSBC Holdings Plc to conduct illegal transactions involving Iran, the people said. Companies are barred from using the US financial system to funnel goods and services to sanctioned entities. If the mobile phone and telecoms equipment maker conducted such transactions and then misled HSBC about their true nature, it could be guilty of bank fraud, experts say. Huawei declined to comment, but said in a statement after the arrest that it complies with all applicable export control and sanctions laws and other regulations. A spokesman for the US attorney’s office in Brooklyn, which Reuters has reported is the office investigating Huawei, also declined to comment. In 2012, HSBC paid $1.92 billion and entered a deferred prosecution agreement with the same US prosecutor’s office for violating US sanctions and money-laundering laws. As part of that deal, HSBC was required to be monitored for five years to review its efforts to prevent money laundering and sanctions violations. HSBC’s US-listed shares fell as much as 6 percent on Thursday after Reuters reported the bank’s link to the Huawei case. They ended down 3.6 percent. Huawei CFO Meng Wanzhou, daughter of Huawei’s founder, Ren Zhengfei, was arrested in Canada on December 1, 2018. She will appear in court on Friday and faces extradition to the United States. The news broke on Wednesday, roiling global stock markets over fears the move could escalate the Sino-US trade dispute. The probe of Huawei is similar to one that threatened the survival of China’s ZTE Corp, which pleaded guilty in 2017 to violating US laws that restrict the sale of American-made technology to Iran. ZTE paid a $892 million penalty. Earlier this year, the United States said ZTE made false statements about disciplining some executives responsible for the violations and banned US firms from selling parts and software to the company. After ceasing major operations as a result, ZTE paid another $1 billion as part of a deal to get the ban lifted. In an incident similar to Meng’s case, ZTE’s chief financial officer was stopped at Boston’s Logan Airport during the US investigation of that company, according to sources familiar with the case. US authorities seized a laptop that contained a “treasure trove” of evidence of ZTE’s illegal business in Iran, one of the sources said. In a 2016 letter to the Commerce Department, 10 US lawmakers said F7 was believed to be Huawei, citing media reports. In April 2017, lawmakers sent another letter to Commerce Secretary Wilbur Ross asking for F7 to be publicly identified and fully investigated. US authorities also subpoenaed Huawei in 2016 seeking information related to possible export and sanctions violations, sources have said. Meng, who also has used the English names Cathy and Sabrina, served on the board of Skycom between February 2008 and April 2009, according to Skycom records. Several other past and present Skycom directors also appear to have connections to Huawei. This entry was posted on 07 Dec 2018,06:40AM at 6:40 AM and is filed under Sci-tech, Homepage Featured Story Slider. You can follow any responses to this entry through the RSS 2.0 feed. Both comments and pings are currently closed.